I hope you all had a fantastic Winter Holiday! This letter outlines the areas of study to be covered by class 1W during this Spring term. In Numeracy we will be revising addition and subtraction, our number bonds to 10 and 20, and looking at shape. We will be starting to look at multiplication and division this term too. We will continue to have BIG maths and fluency practice every Monday where children will get the chance to develop a range of mathematical skills. We follow the Read, Write Inc scheme for our literacy hour every day. Children will be sorted into smaller ability groups and take part in fast paced and focused sessions that aim to develop their reading and writing. Please continue to support your child by listening to them read daily and by discussing their books with them regularly. Our Topic for this half term is Materials and their properties, where we will be looking at objects and the materials they are made from. ICT – Pupils will continue to develop basic computer skills. RE will be taught through whole days focused on specific world religions. PE: PE will be taught on Tuesdays and Fridays but this may change from week to week due to inclement weather. 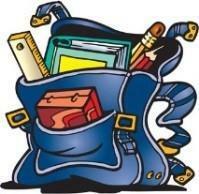 Your child should have a school regulation PE kit in school every day for indoor and outdoor PE sessions just in case. Spellings: Spellings will be given out every Friday and children will be tested on these spellings the following Friday. Please practice these spellings with your children each week. Outdoor Learning: We try to use our outdoor classroom as much as possible. 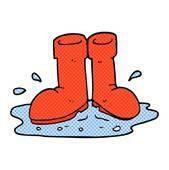 Children need to have their wellington boots in school at all times so they can access this learning. If you have any queries or questions, please do not hesitate to come and see me after school.